Thanks to the massive box office success of Bridesmaids, its cast members are all experiencing sudden demand. While Kristen Wiig has deservedly received the most attention, her co-stars, namely Jon Hamm and Melissa McCarthy, are equally enjoying a lot more time in the spotlight. 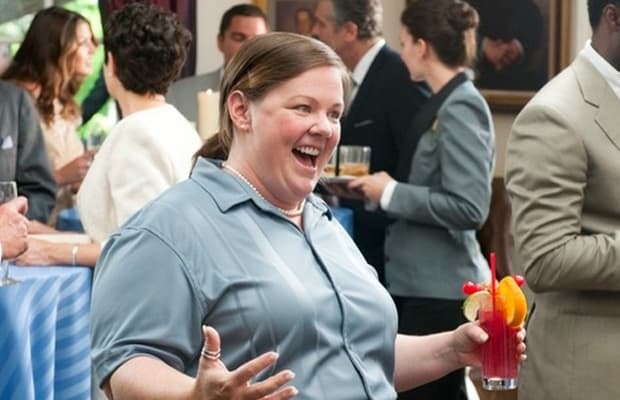 After director Paul Feig used some of that good will last week and got Universal to purchase a new pitch, the Bridesmaids director is now developing a comedy that will reteam him with Hamm, McCarthy, and producer Judd Apatow. Deadline first reported the news, but, shortly after, Moviehole sat down with director Paul Feig and asked about the development. "They&apos;re the inspiration for it," Feig says of Hamm and McCarthy, for an untitled comedy about "a guy who becomes obsessed with a woman." Feig adds, "It would be a very unconventional love story, in the vein of [Bridesmaids]. Judd and I have a very specific storytelling style—it&apos;s very real and out of the reality we&apos;ll try to make it as funny as possible. I&apos;m excited about that." Feig, a fan of both actors, would be giving both supporting stars their break as big screen leads if they&apos;re tapped to headline. Hamm, specifically, has already begun to expand his career to behind-the-camera work, as he&apos;s slated to direct the season five premiere of AMC&apos;s Mad Men.